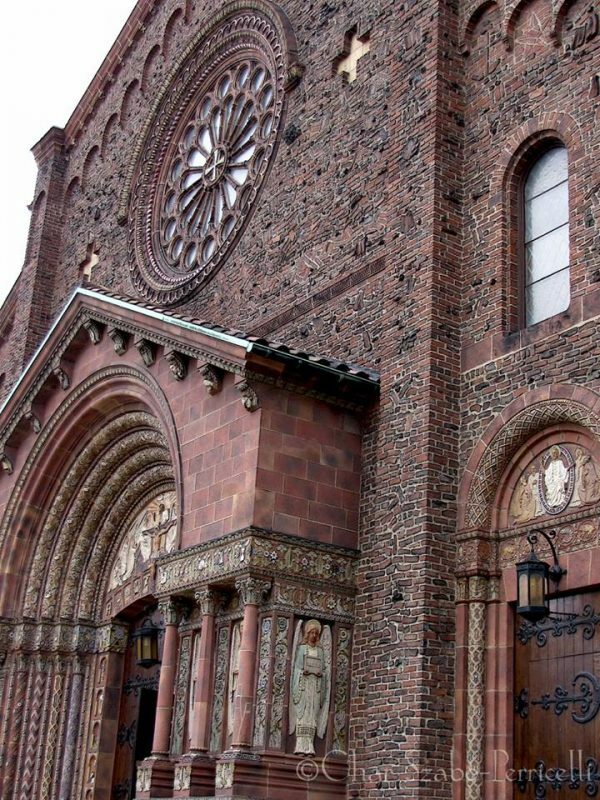 Blessed Trinity Catholic Church is one of the finest replications of 12th Century Lombard Romanesque architecture in the country — and it is right here in Buffalo. At our Open House on October 7, you can see bricks, terra cotta and exquisite iconography made in the U.S.A in the same way as Italian craftsmen did it 900 years ago! The result: a most fascinating exhibit of art and architecture in New York State. Members of our knowledgeable docent team will be on hand to enhance your enjoyment of the experience. And don’t forget your binoculars and camera. Travel New York State’s Path Through History to Blessed Trinity Church on Saturday, October 7. Initiated by Governor Andrew Cuomo in August, 2012, Path Through History Weekend events are designed to showcase the State’s history and cultural significance. Located at 317 Leroy Avenue (between Fillmore Avenue and Grider Street), Blessed Trinity is wheelchair accessible and has ample off-street parking.